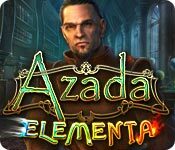 Azada: Elementa is rated 3.8 out of 5 by 41. Rated 5 out of 5 by Discordia33 from Azada Series Comparison: Review 4 of 4 *Disclaimer: I purchased the CE (Collector’s Edition) so I am uncertain of SE (Standard Edition) features. Please feel free to see my other Azada reviews The game designers have definitely upped the bar and in my opinion this is the best of the series by far! They have really expanded the storyline in this visually stunning sequel with masterfully done soundtrack and voice overs, breathing new life into the world of Azada. This game also had far more content … I played the first 3 games in a day and this one took the better part of a day on it’s own. Basic Story: Your comrade Titus (from the previous games) has sent you a package asking you to come to his uncle’s faux diamond storefront which is actually a gate to Azada cloaked in magic. Uncle Panoptes has stolen the magic of Azada from the mages of its 3 realms of Fire, Water and Air. He has imprisoned the mages and enslaved the peoples of this world to steal their magic for use in the real world. You must quest through the various realms to rescue each of the 3 mages, allowing them to restore magic to their respective realms. As you proceed on this epic quest you will learn more backstory on Titus’ family and will have short interactions with multiple characters and mythical creatures throughout Azada. 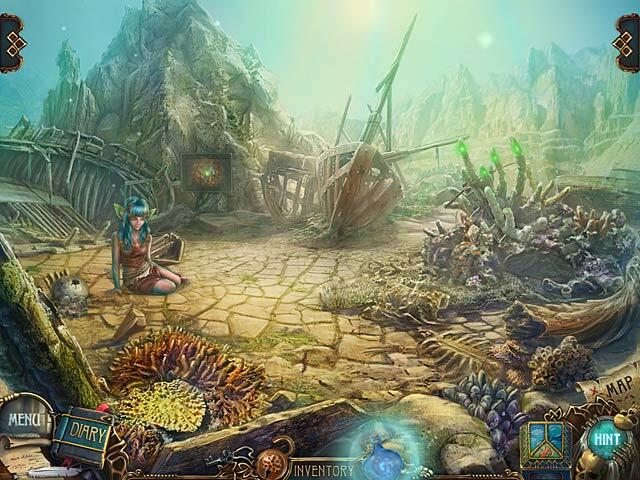 Gameplay: Resembles classic “adventure games” wherein you walk through a world finding objects to pick up (indicated by your cursor turning into a grabbing hand) or mini game puzzles that open new passage or award objects (indicated by your cursor turning into a magnifying glass to examine). Sometimes you will not be able to play as you do not have the correct parts to start the game, in this case the message atop or voice over will hint at what you will need to proceed. You will have to traverse back and forth through this world to complete the game. Features: *25 unique mini games that include mazes, flip puzzles, mahjong, sudoku, marble popper and many others ranging from super easy like connect the dots to rather difficult slide puzzles that will take some time and thought. * 9 HOS (Hidden Object Scenes), each of which will be played once and then returned to EXACTLY as you left it to be played again with a new list. I typically hate HOS but these were not bad as they did not have a timer, no misclick penalty, specific item description and multiple items in each scene are 2-3 step process to create the needed item, adding a puzzle flare to the standard HOS. *Inventory bar has the ability to stay locked on screen *Diary with 2 tabs: 1 for information you have gathered and 1 for incomplete tasks *Map: this opens a map of the land, locations are indicated with an X (undiscovered) an ! (tasks to be done) a check mark (completed area) or a ? (discovered area with no current task but will be utilized again later). Rolling over locations provides you with an image of the location and any undone tasks are written below. You can click on any location on the map to immediately travel there. *Magic Potion: This is a bottle that will pulse when it is needed. You will pick up the potion and use it as a rollover lense to see through magic and locate invisible puzzles, most of which will require that you drop in some of this magic potion to complete. In my humble opinion, the game designers could have easily left this out and just made all of the puzzles visible on the surface. *Pet: you have a tab to check on or dress your customizable animal companion. This is cute to have but serves no real purpose in the game. *Dictionary of Animals: This book shows photos of all creatures encountered in Azada In Libro with a brief description and adds all creatures encountered in Azada Elemental as you come across them. This also serves no purpose in the game, it is strictly extra. *Strategy guide: pop this open for a complete walkthrough of the entire game. Personally, I’d rather figure it out on my own but it’s nice that this is there for when you hit a complete wall. My ONLY complaint with this game is that the screen frame was a bit cluttered with the inventory bar, diary, map, magic potion, pet and dictionary tabs so sometimes you had to roll around a bit to get off one tab and try to find the sweet spot where your cursor turns into your navigate tool. Perhaps you can try the SE (Standard Edition) trial and see if you prefer the less cluttered window. Thoughts on CE: The Bonus gameplay was a whole extra quest with it’s own story and that alone was worth the extra in price. If the extra hour and a half of gameplay wasn’t enough, the CE option to replay the mini games increases the replay value of the game as a whole. Overall this was a magnificent game that I thoroughly enjoyed and will play again someday when I’ve forgotten all the correct answers to the secrets of Azada. Kudos to the designers. Buy the collector's edition now and you can thank me later! Rated 5 out of 5 by Katie318 from Loved the original Azada but am entertained by this one... The first Azada was a treat, but that was early in the history of this kind of gaming. Not sure I would replay that game, really. I haven't been very pleased with ERS lately; their games seem all eye candy and little substance. BUT, I like this game. I like the puzzles. Some are easy, some are hard, and I put up with the HOS. I really like the creativity of the scenes. By all means I think it's a deal now! Rated 5 out of 5 by rpggramma from Excellent game! l loved it!! Great game. Long, hard, loads of fun. Interactive map, which makes it great. Portals open to send you to various areas and closes so that you don't have to waste time where you need not be. Really a fun game; great everything!!! Highly recommended! Rated 5 out of 5 by lacard from Enjoyed SE Bought and played the whole game. Terrific animation, soothing music, and a very clear mythical-type storyline. Most of the art was beautifully done, but the HO mini-games were difficult. Some of the puzzle mini-games were too time consuming. The mini-games provided items needed for the story-game. I played in casual mode so it was very relaxed. I appreciated the unlimited hint and skip options on a timer. Azada Ancient Mysteries left me high and dry by the last mini-game. The map worked very well. It would be very useful in the other modes. I didn't use the diary that much. The pet was a cute extra. My only negative was that I couldn't replay the mini-games after the story-game finished. I may replay just to try the mini-games again. A:AM had the mini-game replay after the story-game. Rated 5 out of 5 by rosekaufmann from DON'T UNDERSTAND AVERAGE REVIEWS LENGTH: Over 5 ½ hours on casual game play. STORY/GAMEPLAY: Your dreams become real and you are, of course, the "chosen one" to rescue the elements of air, water and fire. Pleasant-sounding narration. Good graphics and logical flowing game play. HOS/PUZZLES: HOS are list-based and scenes are moderately busy. Items in red require interaction; however, the red is very difficult to read, so I just watched for a hand to appear to know where I needed to do something. Puzzles were widely varied, unique and interesting. They weren’t so difficult to cause brain damage, but some might take some time to do. OTHER STUFF: Nice relaxing music. 3 modes of difficulty, which can be changed during play. Journal has your story, interesting points uncovered and a list of tasks. Your map marks locations which are completed or which have tasks pending – and its interactive. Some inventory stays in your tray if it can be reused, which I think is great – you won’t have to use a hammer, only to find out you need to find another one 3 locations away for another puzzle. OVERALL: A very well put together and interesting game. I just don't understand the low ratings from some reviewers - they'd probably be among the first to say it was repetitious if the game followed the format of previous Azada games. Here, we get a little "history" of Azada. Rated 5 out of 5 by GreatOz from Magnificent game Save Azada in this beautiful adventure. 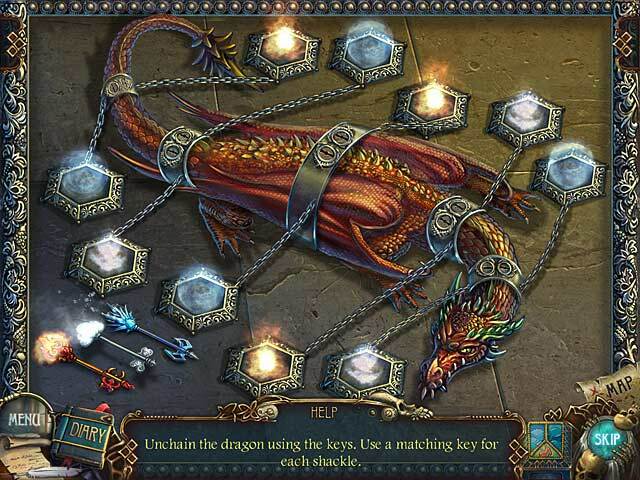 You have been chosen to defeat evil and find Azada’s essential elements that disappeared. There are 3 modes of play: casual, advanced and fearless hero. Storyline is amazing, I was hooked to it from the beginning, it’s like a beautiful fairytale. Graphics are top notch, so colorful and lovely. Many different creatures that you will meet along the way together with your little friend that helps you made this game even more beautiful. Characters are designed nicely and music is perfectly chosen. You have a diary with your notes and tasks, also you have a map that allows travel and shows objectives. Beside inventory you have a magic bottle, you can use it to find magic areas. 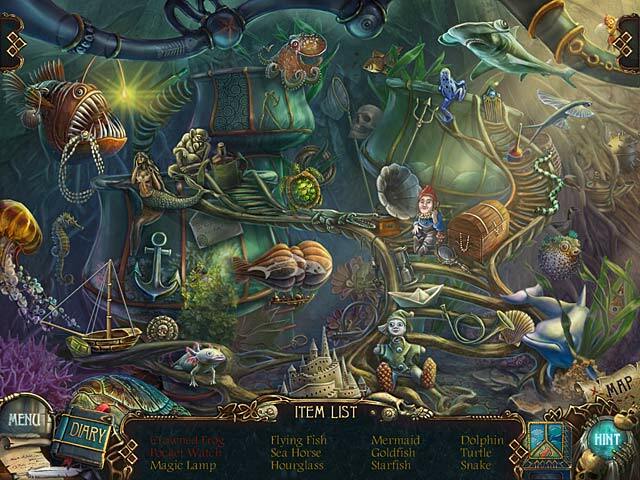 Hidden object scenes are absolutely great, lots of interaction, very well designed scenes with nice visibility. Puzzles are amusing, some of them were quite challenging and refreshing. I will most definitely recommend this game, for all in the mood for one heart warming adventure! Rated 5 out of 5 by nwind from Best Azada Story Yet! My first encounter with Azada was Azada In Libro. I liked it so much that I went back and bought the earlier Azada's but really didn't like the all puzzle format and never made it through either of them. Azada Elementa is along the lines of In Libro, but even better. It has a good mix of HOS and Puzzles and a great storyline. I enjoyed this one very much and will be watching for future Azada stories! Rated 5 out of 5 by hibc60 from another fabulous AZADA Azada was my first ever big fish game and they just never dissapoint. I bought the SE which was fine with a great hint button and map that let's you jump to places. I don't use sound so cant rate that but AZADA is fabulous once again. you are the chosen one and save everyone and you even get a companion you can decorate and dress up along the way. I love azada and always will - keep them comming!! Rated 5 out of 5 by Yanie1020 from Are You Up For a Challenge? I always play at the expert level and try not to ever use hints or strategy guides. In fact, I love it when I'm completely stuck and have to really search for a solution. This game has it all: Fun, great graphics, good music, lots of puzzles (my favorite) and several HOS thrown in for good measure. If a game gets me stuck for a while and I have to use my detective skills, it's a winner. I've been stuck a couple of times now and was able to find my way out. In other words, this is a big winner! Not for beginners unless you're not easily frustrated. Azada's saga continues when its precious elements are stolen!